Hyundai, the Japanese Automobile maker, unveiled its latest offering exclusively for the Chinese Automobile lovers at the Beijing motor show. 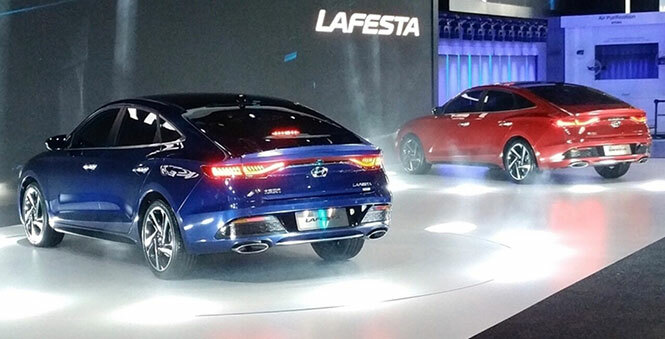 Hyundai has named the luxury sedan as ‘The Lafesta’, an Italian name for the premium sedan for the Chinese market from the Japanese automaker factory. The name Lafesta is derived from the Italian word ‘Festa’ which means holiday, festival or party. True to its name Hyundai’s Lafesta is a perfect marriage of luxury and beauty. Hyundai will be hoping to attract affluent young Chinese buyers. 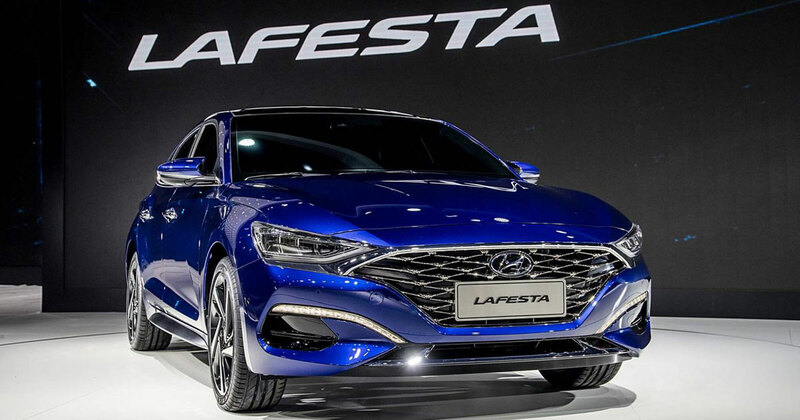 Hyundai Lafesta incorporates a lot of its design features from the Le Fil Rouge concept that was unveiled this year at the Geneva motor show. However, the overall look draws parallels with Hyundai Elantra which is sold in the Indian market. This could though mean that the Indian luxury car lovers will have to wait for sometime before they can lay their hands on the Lafesta. As far as dimensions are concerned, The our door sedan rests on 4,660mm length and 2,700mm long wheelbase which places it between the Elantra and the Sonata. The front grilles blend perfectly into the headlamps rendering a playful grin to the luxury sedan. The coupe-like swoopy roofline gives the sedan a sporty feel. The Lafesta will in all likelihood dawn the Chineses roads by the end of this year. Underneath, the Lafesta is powered by turbo-petrol engine tuned to deliver 130hp to 240hp and coupled to a seven seven-speed automatic transmission powering the front wheels. Buyers will have 1.4-litre turbo-petrol and a 1.6-litre turbo-petrol variant to choose from.